The average price for this game in the past 6 months is $2.34. The game first became 50% off on Nov 22, 2012 at Green Man Gaming. Lowest historic price was $1.99 on Aug 16, 2018 at Fanatical. If you somehow don't own a copy of Dishonored in your Steam library, you can fix that mistake right now for only $2.37 - a ridiculously good price on a great game. New historic low price. Steam key. For those wanting a more complete experience, you can also wait for The Definitive Edition to drop below $7 (currently $9). Dishonored has dropped to $2.37 in GMG's 2017 Summer Sale. This is not one of their flash sales and will be good fora while, but a historic low price by $0.42. One to watch for the Steam Summer Sale. Today Dishonored dropped its list price from $20 to only $10. This is a permanent drop. Now wait for the Summer sale inevitable 50% savings and pick her up to five. If you haven't picked up a copy of Dishonored yet, now's not a bad time to do so on the cheap. The game was tacked onto GameFly's Summer Sale yesterday with a 75% instant discount, and you can use a 15% off coupon for additional savings. Pennies off its all time low. Dishonored hits $5 as GameStop's PC game sales kicks up a notch. (It's been a buck cheaper before but anytime its under $8 its a solid deal). The average price for this game in the past 6 months is $8.65. The game first became 50% off on Jul 8, 2016 at Green Man Gaming. Lowest historic price was $4.82 on Feb 11, 2018 at GamesPlanet. Dishonored: Definitive Edition within pennies of its historic low today at DLGamer with a drop to $6.99. The last time it was this price was back in February of this year. New historic low price on Dishonored: Definitive Edition. If you didn't pick up a copy of Dishonored 2 with a freebie copy of this game and you've been eyeing the series, this is a great price point for the game. Previous low was $8.13. Steam key. The average price for this game in the past 6 months is $9.99. The game first became 50% off on Nov 26, 2015 at Amazon. Lowest historic price was $9.99 on Dec 19, 2018 at GameFly. The average price for this game since released is $15.47. The game first became 50% off on Nov 26, 2015 at Amazon. Lowest historic price was $9.99 on Sep 13, 2017 at PlayStation Store. Dishonored: Definitive Edition on the PS4 getting a discount to $12 at Amazon today. Historic low price point for the August 2015 release. Dishonored: Definitive Edition matching what we saw on Black Friday 2015 with a drop to $15 at GameStop. Same price for the xbox one version. Originally a $40 purchase back in August when it released, today the Dishonored: Definitive Edition is only $15 at NewEgg after coupon. Ties its all time low last seen Black Friday. The average price for this game since released is $14.21. The game first became 50% off on Mar 28, 2014 at Green Man Gaming. Lowest historic price was $6 on Aug 17, 2014 at Uplay Shop. This week the Dishonored Game of the Year Edition is half price at GamersGate. At least fifteen bucks more elsewhere online. Includes the base game and 4 DLC packs: The Knife of Dunwall, The Brigmore Witches, Dunwall City Trials, and Void Walker's Arsenal. GMG Summer Sale Day 2 is now alive and kicking (yep started at 2AM Pacific, the perfect time to buy games). Dishonored GOTY is only $8 for the Steam key. Also as a bonus you'll get another free mystery game to be activated on Steam. Deal's back on Dishonored GOTY from GMG. Base game is $4 although for $4 more you'll get the complete experience. Dishonored GOTY edition is now only $8 from GMG during Day 3 of their Winter Sale. If you don't care about all the other DLC, just the game itself is $4 (which ties its lowest ever price). Both are of course Steam keys. Dishonored GOTY Edition for only $6. 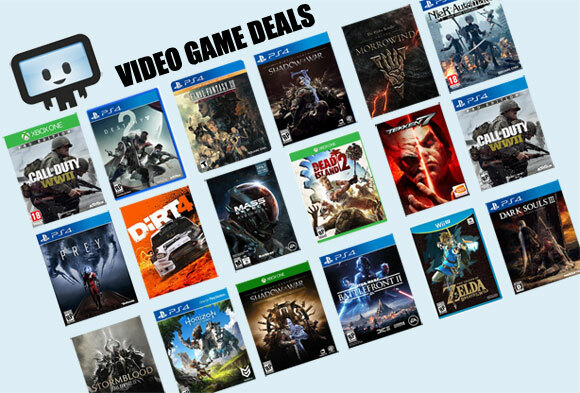 New lowest ever price thanks to GMG's "50 Games" Sale. If you haven't played Dishonored yet, this is a solid title to pick up. Dishonored GOTY on PC (physical copy) hits a new low today at GameStop. Includes the base game and all 4 DLC packs. The average price for this game since released is $21.47. The game first became 50% off on Nov 21, 2013 at . Lowest historic price was $2.97 on Jan 26, 2017 at GameStop. Dishonored GOTY on the PC dropped to $10 today at NewEgg - a new low by about $1 and $19 off the current next best price online. They also have the Xbox 360 and PS3 versions down to $14.99. Clicking on the link takes you to Ubistore where the price is $23.99, not $13.60. Deal expired. Thanks for letting us know. Is this a steam code or uplay? Plus at checkout you are given the option to add Tom Clancy’s Splinter Cell Blacklist for only $15! The average price for this game since released is $7.35. The game first became 50% off on May 13, 2014 at GameFly. Lowest historic price was $3.99 on May 13, 2014 at GameFly. Dishonored's new DLC is out today: The Brigmore Witches. GMG's 20% off coupon code marks the game down to $8. Elsewhere $10. The average price for this game since released is $7.03. The game first became 50% off on Jun 18, 2013 at GameFly. Lowest historic price was $2.71 on Aug 4, 2013 at GameFly. Dishonored's latest "The Knife of Dunwall" DLC pack released on Tuesday of this week. You're looking at $10 at everywhere for the PC download but Green Man Gaming has a 20% coupon code which dropping the price a couple bucks.